Bushey & Oxhey FC are extremely fortunate to have full use of the outstanding facilities at the Bushey Sports Club. Bushey Sports Club has some of the best sporting facilities and grounds in the county, hosting a wide variety of individuals and sports teams including Bushey & Oxhey Football Club from across Hertfordshire and North London, including cricket, football, and bowls. 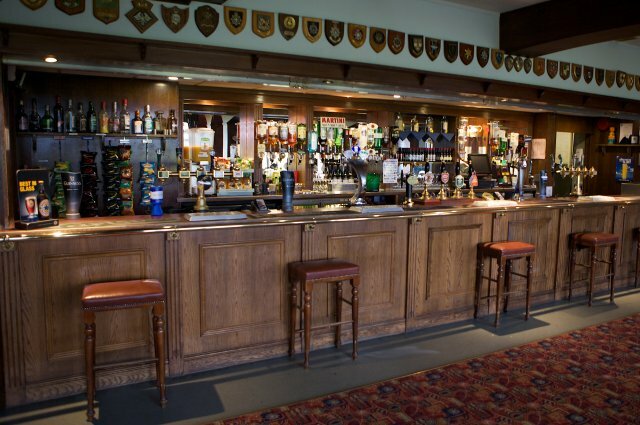 The club also hosts a number of social events from Cabaret to Comedy Nights, Quiz Nights to Boxing Evenings, and Wedding Functions to Specialist Dine Nights. For 41 years the club has entertained members of the Police Service, their friends and family and with the highly regarded reputation it has gained, will continue for another 41 years. The Sports Club offers a fantastic variety of sporting facilities, which are said to be some of the best in Hertfordshire. These include 3 Cricket Pitches, 5 adult Football Pitches, 2 Squash Courts, a 6 Rink County Standard Bowls Green, 5 All Weather Tennis Courts, and a Netball/Basketball Court. They also provide a sauna and a solarium. Bushey & Oxhey Football Club players, officials, parents, guests and opponents are welcome to use the clubhouse on training days and match days. Please note: football boots are not permitted in the building. Football shirts must also be removed or covered by a tracksuit top, sweatshirt or jacket. Hot and cold food, soft drinks, hot drinks and alcoholic beverages are available to buy from the bar.